While tetrahydrocannabinol (THC) and cannabidiol (CBD) are two of the most well-known of the 100+ cannabinoids found in cannabis, cannabigerol (CBG) could be one of the most important cannabinoids that exists. More important than even THC and CBD? THC and CBD (and several other cannabinoids) begin as CBG! Basically, without CBG we wouldn’t have the others. CBG can be thought of as the “mother cannabinoid” to THC. CBD, and other cannabinoids. It’s basically a building block on which several other cannabinoids depend and plays a very important role when it comes to the cannabis plant. As we mentioned, CBG is the “mother” cannabinoid of many other cannabinoids present in the cannabis plant. Essentially, it’s classified as a minor cannabinoid, but CBG is an extremely important cannabis compound. In the cannabis plant, CBG can be found in the form of cannabigerolic acid (CBGA), which is the building block of the three main branches of cannabinoids that include cannabidiolic acid (CBDA), tetrahydrocannabinolic acid (THCA), and cannabichromenic acid (CBCA). CBGA transforms into these three branches of cannabinoid through specific enzymes known as synthases as the cannabis plant matures. Because most CBGA is synthesized into these other molecular structures, there are very low concentrations of this cannabinoid in mature cannabis plants. Through a process known as decarboxylation (where heat is applied to the acidic forms of these cannabinoids), CBGA, CBDA, THCA, and CBCA all lose one carbon group. They are then transformed into the more familiar forms of CBG, CBD, THC, and CBC. This is considered the active state of these compounds and where most of their therapeutic benefits are contained. 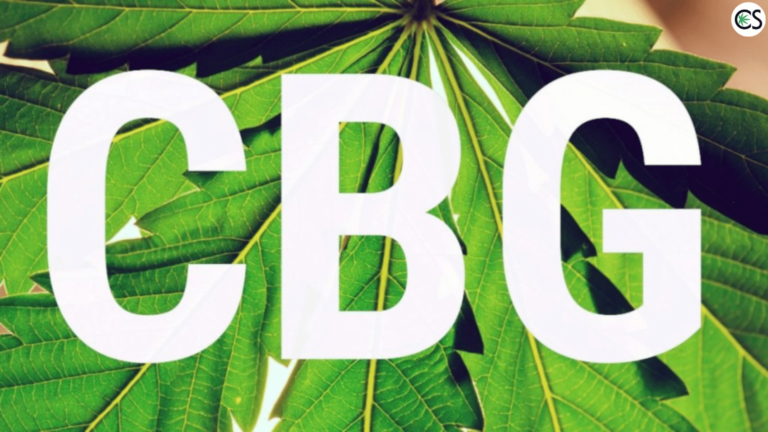 What are the Benefits of CBG? Like other cannabinoids, CBG has shown to contain numerous therapeutic benefits and could play an integral role in several health disorders and diseases. CBG isn’t psychoactive, meaning it won’t get you high. In fact, much like CBD, it’s believed that CBG could counter some of the negative effects of THC-rich strains such as paranoia and anxiety. CBG has shown to be a partial agonist of CB1 receptors (those found in high concentrations in the central nervous system), which explains why it could mitigate the effects of THC. While CBG does have some binding affinity to CB2 receptors, the mechanisms here aren’t as well known. Pain Relief: According to Russo, the analgesic (pain-relieving) properties of CBG are said to surpass those of THC. Antidepressant: More than one study suggests that CBG contains antidepressant properties. Antifungal: Research shows that CBG is powerful agent against MRSA. Russo also expressed that CBG could be beneficial for psoriasis due to its ability to inhibit keratinocyte proliferation. He also suggested CBG might help with overactive bladder and bladder pain. A 2015 study backed up this suggestion by testing the effects of CBG and other cannabinoids on bladder dysfunction. Results found that CBG and THCV had the greatest capacity for the reduction of bladder contractions. Something else Russo expressed is that CBG could work in synergy with other cannabis compounds, namely terpenes such as limonene, linalool, phytol, and caryophyllene, lending to what’s known as the entourage effect. A 2016 study looked at the neuroprotective properties of CBG in patients with Huntington’s disease, a condition that causes the progressive breakdown of nerve cells in the brain. Symptoms of Huntington’s include involuntary movements, muscle problems, and more. The study found that CBG was “extremely active as a neuroprotectant” and helped improve motor deficits in animal models. The study concluded that the discoveries they made “open new research avenues” for the use of CBG and other cannabinoids for neurodegenerative conditions such as Huntington’s. A 2007 study discovered that CBG (and other cannabinoids) have the potential to indirectly stimulate bone marrow growth by means of the CB2 receptor. Does CBG hold the potential to heal bone fractures? It’s possible, although further research is certainly needed. Here’s the thing. While CBG is one of the most important cannabinoids there is…it isn’t as readily available as other cannabinoids. This is because CBG is typically converted into other cannabinoids as the cannabis plant matures. This definitely makes CBG one of the rarer cannabinoids that exist. This, however, is something that could change as extraction technology and cannabinoid research both advance. What’s the Future of CBG? Is there a future for CBG? Preliminary exploration of the cannabinoid highlights some rather substantial potential. CBG could have a future, but presently there just aren’t many options when it comes to purchasing straight CBG oil. One day this could change. There are many professional breeders out there right now creating and researching new varieties of CBG dominant cannabis plants. Research shows that CBG content is highest in the cannabis plant at week 6 of 8 during the flowering period. This offers the opportunity for CBG extraction in the early stages of the flowering cycle, which is something that we may see more of in the future. Without which, we wouldn’t have CBD or THC (as well as other cannabinoids such as CBN and CBC). We’d like to think CBG is truly one of the most important cannabinoids that exists. While there hasn’t been as much research into CBG as THC or CBD, the preliminary research that’s been conducted highlights that this non-psychoactive cannabinoid does hold some very significant therapeutic promise. It will truly be interesting to see what the future does hold for CBG. Not only does it show to contain some significant benefits when used by itself, but also shows promise when used synergistically with other cannabinoids and terpenes. Is CBG the next big thing when it comes to cannabinoids?